Love at First Bite debuted in January with a modern menu of Thai fare. The chefs follow the traditional template of Thai cuisine, building dishes around a central spicy component with veggies on the side. However, they’re not afraid to get creative and take a few artistic liberties with their dishes. Case in point? The avocado curry. The entree begins with a base of red curry, chicken, and shrimp, but then the chef takes a turn away from classic cuisine. He tosses in broccoli, buttercup squash, bell pepper, Thai eggplant, and avocado—an entire half of an avocado, to be precise. 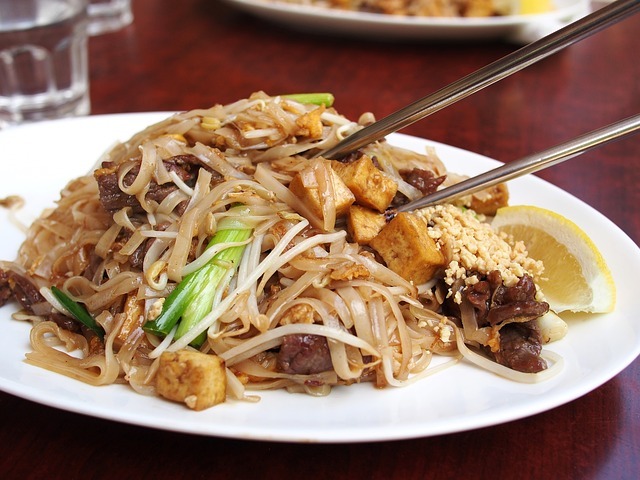 If you’re craving something more traditional, try one of the noodle or fried rice dishes, such as the pad Thai or the drunken noodles. Just make sure you save enough room for coconut ice cream or sweet mango and sticky rice.